Pellegrini puzzled by West Ham’s performance against Wolves. Its difficult, again to understand the Hammers attitude in the last three matches especially second-half display’s. 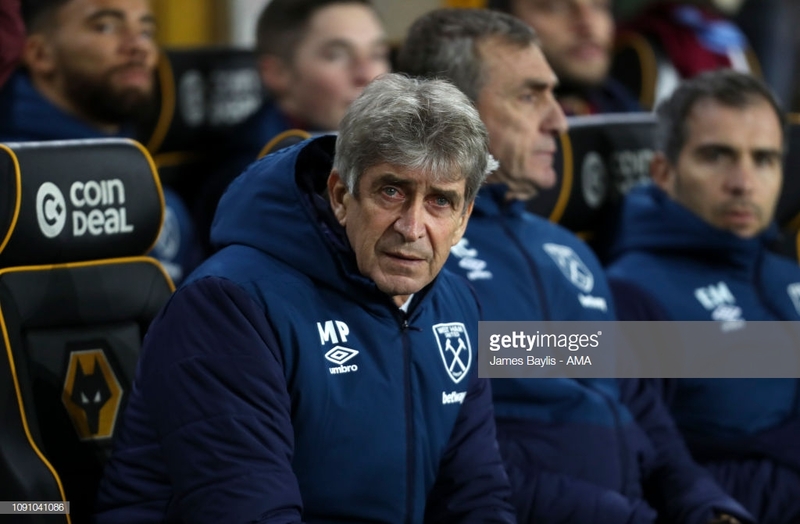 West Ham United travelled to face Wolverhampton Wanderers, carrying with them a heavy and embarrassing defeat in the FA Cup against the bottom side in League One AFC Wimbledon. “I think in the first half, it was very close,” Pellegrini said. “It was a very tight game for both teams. But in the second half, we were a team that was uprooted out of the game. Powerful header from Romain Saiss put Wolves in front and to seal the home side victory two quick goals by Raul Jimenez in a space of ten minutes towards the end of the 90minutes. Marko Arnautovic transfer sage splashed over the papers, creating unwanted headlines - extension to his contact. Maybe could off unsettled the squad. Samir Nasri with slight injury, brought creativity into the Irons side. Felipe Anderson wasn’t allowed room to show his flair and pace, the Hammers Boss, ponders how they failed to test Rui Patricio at Molineux. “When, during the 90 minutes, you didn’t make one clear chance, you must be frustrated because we are always trying to play in the opposition’s side of the pitch. Fabian Balbuena still out injured, you could honestly say that the partnership between him and Issa Diop was something special and they gelled very well. Just don’t think Angelo Ogbonna is the right replacement. “I’m sad we conceded two goals from set pieces. Lukasz [Fabianski] made two or three saves at the start of the second half that were clear shots for Wolves also. I think we didn’t work as a team on defending. The Austrian was helped off, which appeared a serious injury to his ankle. With all that has gone on, wanting a more to China for more money, which was reported and driven by his brother Danijel Arnautovic. If it is a long season ending injury West Ham would find it difficult to fill the void in the style that Pellegrini enjoys. There is Andy Carroll but long balls are not Pellegrini’s philosophy. Even though the tall No9 causes a lot of problems in the penalty area. "I can't say more in this moment but I think it will not be an easy injury. I hope he has not any problem but we must review him in an examination on Wednesday."